Whovians of the world, unite! In an absolutely first of its kind event, ‘Doctor Who‘ will launch a global world tour this summer. The tour will visit seven cities across five continents to introduce the 12th Time Lord, Peter Capaldi. Joining Capaldi will be the one and only Clara (Jenna Coleman). 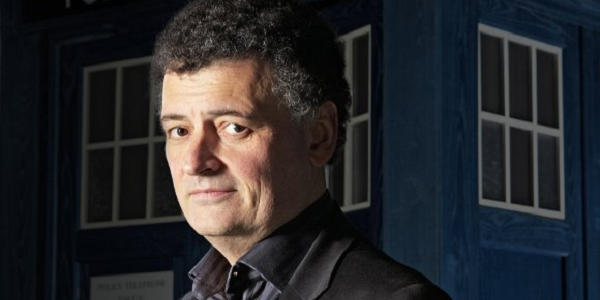 In certain locales the show’s lead writer and executive producer Steven Moffat will join in at some of the stops. Loving any show Steven Moffat is involved in is like a slow and needlessly painful suicide. He’s a genius, but at least once a week, I curse his name in the same vein as I do Joss Whedon. Both are brilliant, but very sadistic! I mean that in the nicest possible way I could explain someone to get pleasure from fans souls being squashed weekly. The 12-day roadshow is the biggest ever promotional undertaking in ‘Doctor Who’s 50-year history. The route seems to be a kick off in Cardiff Wales on August 7 then heading to London, Seoul, Sydney, New York, Mexico City and Rio. 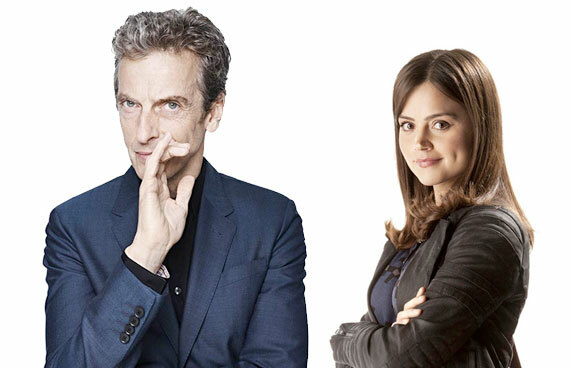 Capaldi and Coleman are appearing together for the first time in the U.S. when they arrive in New York on August 14. Capaldi said of the impending tour, “After eight months solid filming deep in the world of monsters, Jenna and I are thrilled to be heading for the Planet of Fans.” The current 12-episode season of ‘Doctor Who’ is involved in shooting through August. Any self-respecting Whovian would give anything, maybe even a first-born child, to be able to meet Capaldi and Coleman. Moffat’s security detail should check there aren’t any voodoo dolls being brought in to take out some angst on our favorite show-runner for the buckets of tears we’ve cried because of him. Ten’s final words of “I don’t want to go,” still make me misty. Maybe we should look to Google to show us just how much fans get irritated with Moffat. I typed his name into the search bar and the first option for auto-completion said ‘Steven Moffat Evil’. I think that says it all. Curse you, Moffat!!! This entry was posted on Wednesday, June 11th, 2014 at 10:17 am	and is filed under Events, News, Television. You can follow any responses to this entry through the RSS 2.0 feed. You can skip to the end and leave a response. Pinging is currently not allowed. « Sonic the Hedgehog Being Re-tooled for Big Screen Debut!! !